Screenprinting Halftones makes custom t-shirts more colorful at a fraction of the cost. Below is a picture of a custom t-shirt we printed with halftones in it. 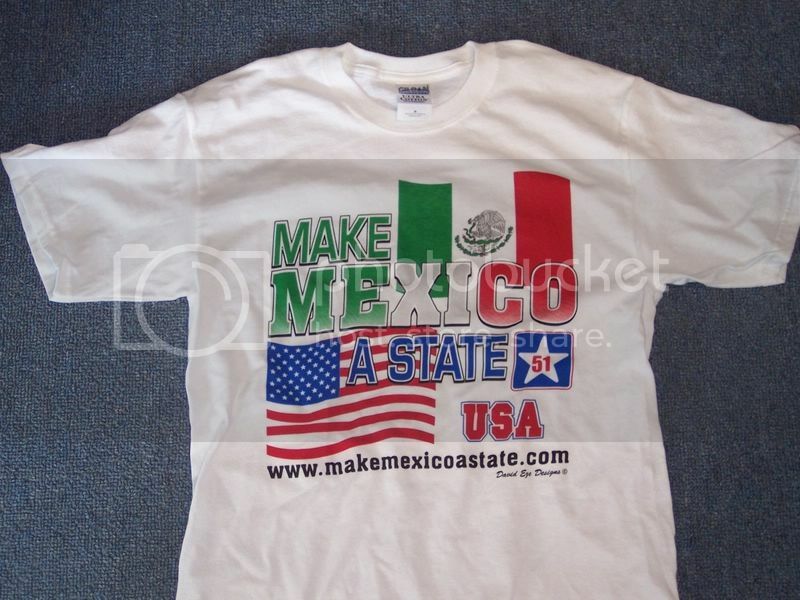 If you notice in the word MEXICO there is a fade from top to bottom. This gives the look of 2 different greens and reds. What happens is with halftones we print small dots to give a shaded look. We can print halftones from 20-60 percent of the color. Most designs we print have some type of halftone involed. Custom screenprinted shirts always look better with halftones. It is the best way to get more for your money. If you have any questions about halftones please feel free to call on of our helpful sales staff toll free at 1-888-222-9542. Thank you so much for sharing this great blog, its been a really very helpful read! I am very thankful to the you for giving this interesting post.